Alison Brown tells our readers, "I wanted to make you aware of a great new documentary about bluegrass. 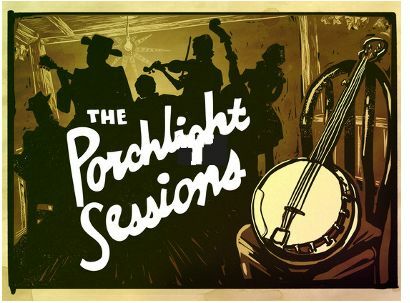 It's called The Porchlight Sessions and it's being produced by a very talented young filmmaker named Anna Schwaber. She recently launched a Kickstarter campaign to raise the funds to complete the film." Check out a trailer below. Austin, TX -- Della Mae, the all-woman bluegrass music quartet out of Boston that brings acoustic grit and twang to town with no apologies, will release its debut full-length album in September. Della Mae features the 2009-2010 National Fiddle Champion Kimber Ludiker, powerful mandolinist Jenni Lyn Gardner, seasoned bassist Amanda Kowalski, and the sweet, sultry vocals and driving acoustic guitar of Celia Woodsmith.